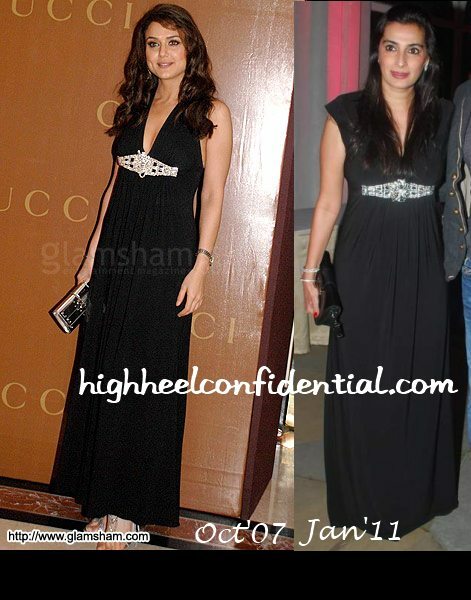 A recent appearance of Mana’s instantly reminded us of Preity from a couple of years ago. Or more specifically, of her dress from a couple of years ago. We think both these ladies sport their versions rather well, don’t you?